Why should an entire floor of your house be a cold, damp storage area that no one wants to enjoy? Remodeling your basement gives you the chance to create the living space you’ve always wanted. An extra TV room, a spare bedroom, a hobby room, a man cave, a home office, a bar with a kitchenette – with a wide open floor plan and easy access to utilities, any possibility you can think of can be achieved. Matthews Construction and Design has been a trusted basement remodeling contractor to clients in Washington, D.C. and Montgomery County, Maryland for more than 48 years. Basements can be remodeled to include any room you can imagine – Remodeling your basement gives you that extra TV room, bedroom, bathroom, home office, or whatever your house is missing. With easy access to utilities and a wide open floor plan to start with, there are endless opportunities for basement remodeling ideas. Remodeling a basement greatly improves resale value – Remodeling a basement offers a great value per square foot in increasing your investment, as compared to adding a new addition to your home. If you’re adding a true bedroom with a window or a bathroom, this increase can be even bigger. A remodeled basement has a unique, cozy atmosphere – There is something about a finished basement that lets your family and guests relax in a way they can’t in a formal living room area. When the space is remodeled with insulation and drywall, it can be warm all winter long and still be the coolest room in the house during summer. Foundations on homes of any age can be damaged by a range of different issues. Some of the most common problems that require foundation repair are poor water drainage away from the foundation, fill materials that are no fully compacted or contain organic material, and swelling or shrinking of the surrounding earth. Any of these symptoms can be a sign that you have a serious foundation problem, but may also be a minor defect that is no cause for concern. If you see any of these signs, your best solution is to contact a basement remodeling contractor or foundation repair contractor like Matthews Construction and Design. 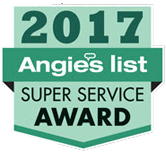 Clients in Washington, D.C, Rockville, Bethesda, and all of Montgomery County have rewarded us with an A rating on Angie’s List, for our craftsmanship and customer service. Contact us for a basement remodeling consultation.